"Sampath Speaking" - the thoughts of an Insurer from Thiruvallikkeni: Team India gives no chance to Bertha too .... when 5 spinners played ! Team India gives no chance to Bertha too .... when 5 spinners played ! We have been hearing more about Bertha – a name used few times earlier for tropical cyclone ~ there were storm alerts in many parts of Britain as Hurricane Bertha tracked across the Atlantic. The Met Office said the weather would turn wet and windy in many parts from Sunday morning, with severe gales likely along some southern coastal and inland areas. Forecasters said the storm would move across the southern half of the country before heading out to the North Sea and travelling up the east coast, bringing some disruption to Scotland on Monday ……… well, none in India cared to read about that – as even cyclone would not help – Team India on a self-destruction mood, contriving to get defeated under 3 days. Way back in Feb 1976, India led the Series at New Zealand only to lose the 3rd test by an innings …. Indians were bowled out for a paltry 81 – struck by quality bowling of Richard Hadlee who had figures of 8.3-0-23-7. I cried reading about that loss (no TV coverage those days) and so did my classmates. Here at Old Trafford, Indian batsmen showed no resolve and capitulated in domino fashion in the final session here. Nine wickets fell – or were donated – as England raced to a 2-1 lead in the series, winning this abbreviated Test match by an innings and 54 runs. The last two tests have been played on pitches that help English pacemen – this time the wrecker-in-chief of 1st innings was kept away by an injury and Anderson too had illness - still the famed batsmen succumbed to Moeen Ali, who has suddenly become one of Alastair Cook’s prime attacking weapons. England’s captain now has no hesitation in tossing the ball in his direction. That comes from a land which once boasted of fearsome foursome spinners and you will be too surprised to read of Indian strategy was back in July 1967 in Test no. 620. The inept pathetic display is evident in the scorecard which reads : England 367 (Root 77, Buttler 70, Bell 58) beat India 152 (Dhoni 71, Broad 6-25) and 161 (Ashwin 46*, Moeen 4-39) by an innings and 54 runs……… and what it does not say is they lasted only 46.4 and 43 overs. !!! …. In both the innings – India had the ignominy of being 66-6. In the 1st innings, India hit a new low equalling the world record of 6 ducks in an inning, and newspaper spoofed stating BCCI has urged Aamir Khan to immediately leave for Manchester and share all the tricks of the trade that he used in Lagaan to beat the English team. As it has been in the recent past, we have a highly paid foreign coach Duncan Fletcher, the man who masterminded their first Ashes series victory in 18 years in 2005 -getting the better of Shane Warne, Glenn McGrath et al - it was stated that the Zimbabwean knows England so well and would plot their fall ……… the results are too evident. In the simple surrender, India lost nine wickets after tea, including one period of 5 for 13 in 29 balls, and it was not the swing, seam and pace that caused most havoc – the players would make big tons and perhaps Mooen Ali would find wickets hard to comeby in 1st division league but not in Tests against India – he spun his way to 4 for 39, taking his series tally to 19. Two sessions of rain, no Stuart Broad (in hospital with broken nose), Jimmy Anderson struggling with illness – still match lost inside three days. Eighty-nine overs and four balls of batting over two innings. Twelve wickets for 168 runs to Moeen Ali's part-time spin over two matches. We have seen enough defeats – let this rattle the Selectors in the manner it hurts the fans …. Sack the Coach, change the Captain, rest the so called best batsman …. Bring in some measures that show that we are serious enough and have some strategies ……… things cannot go worser still ~ and one needs to atleast dream of success by some change if not planned strategy…….. failing players appearing in many advertisements, especially during breaks irritate - but they get paid in millions …. 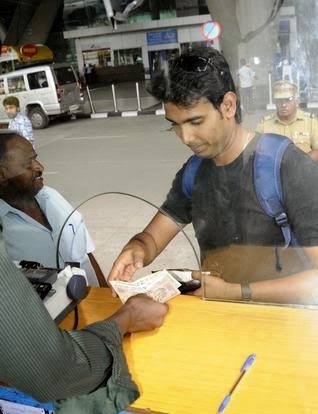 Elsewhere comes the report that a silver medallist in Glasgow returned to Chennai, came out of domestic terminal, quietly went to the call taxi counter, stood in a queue to book a vehicle and left………. The way we treat our achiever – (what was the Association and Officials doing ?) – the sad plight is that of star TT player A. Sharath Kamal – who has done more glory to the Nation. 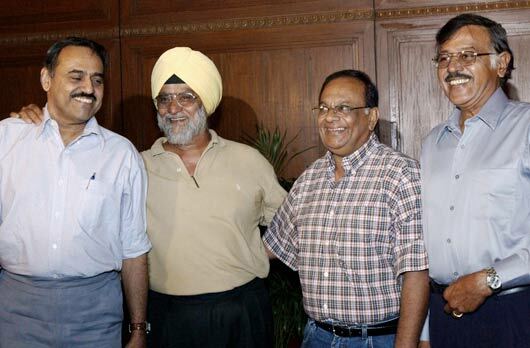 If by any chance – you still want to read about that July 1967 test – India did well to dismiss England for 298 and 203……….. match was lost due to a poor batting display in 1st innings (92)- there were quality spinners – Bishan Bedi, Bhagwat Chandrasekhar, Srinivasan Venkatraghavan, Erapalli Prasanna – besides this four - the attack was opened by another spinner V Subramanya who bowled 10 overs and Budhi Kunderan ~ yes, a quality wicket-keeper, who bowled 4 overs…….. and from that land, we have batsmen failing inexplicably to part-time spinners.